The invention of the name "Greenland" may mark the start of the advertising industry. He called the land which he had found Greenland, because, quoth he, "people will be attracted thither, if the land has a good name." The ice sheet on Greenland covers most of this huge island. 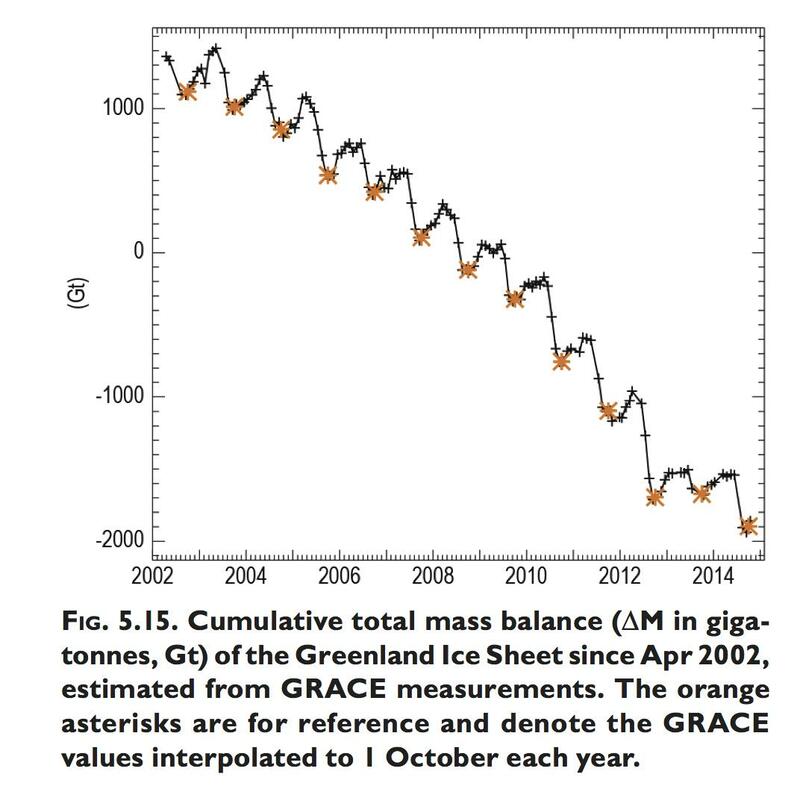 Greenland is losing ice, and the mass of ice lost is measured by satellites called GRACE. 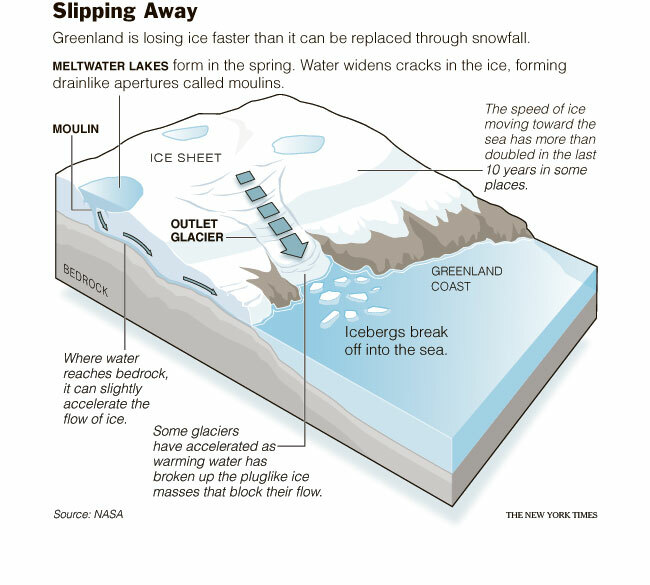 A survey of Greenland's glaciers has shown they are speeding up. The speed has increased by about 30% in 10 years. A new NASA project called Oceans Melting Greenland (OMG) will observe changing water temperatures on the continental shelf surrounding Greenland, and how marine glaciers react to the presence of warm, salty Atlantic water. 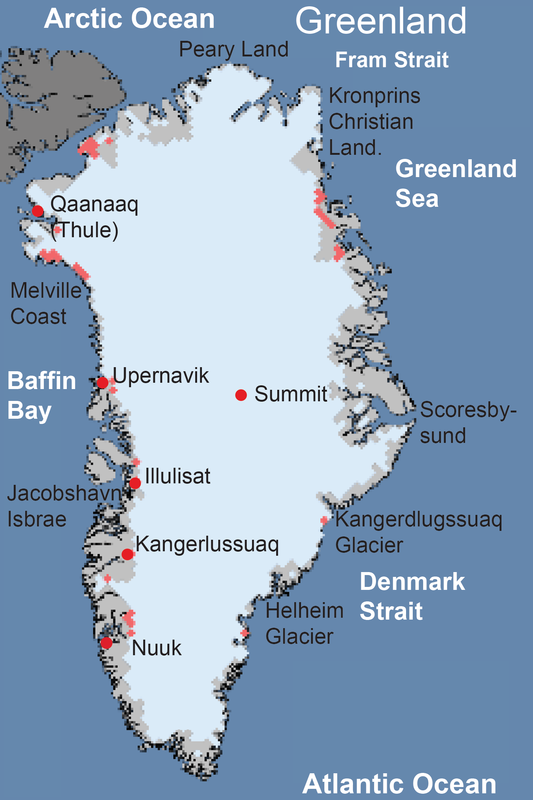 Updates about Greenland's ice sheet are regularly posted by the National Snow and Ice Data Center.